Giving you full control of the sound. Elastic offers prestigious craftsmanship inside each of the 107 presets for Arturia’s MINI V Synthesiser. 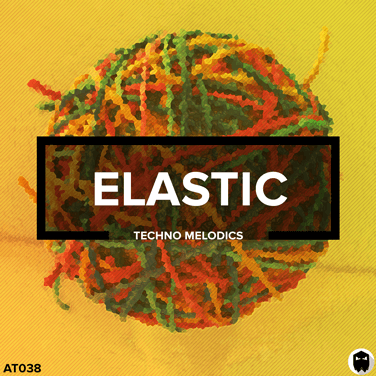 Choose Elastic Deluxe to gain full creative control over every loop inside the pack. 107 MIDI files and 107 Mini V presets are included for every one of the melodic loops. Allowing you to tweak the sound and alter the notation for endless possibilities. Inside Elastic Deluxe you will gain access to 7 Ableton Live project files. These construction kit templates are the exact same projects used to create the main demo. You will discover how each element is working together to achieve a final mix-down. PLEASE NOTE: In order to load the project files you will require Ableton Live 9.7 (or higher), Valhalla VintageVerb and Arturia Mini V3 version 3.1.0.205 or higher. In this video, we will show you how quick it is to transform the melodic loop into your own musical idea. For producers that just want the high quality melodic loops and drum hits. For producers that want the ultimate melodic techno toolkit. For the presets you will need Arturia Mini V3 version 3.1.0.205 or higher. For the project files you will also need Ableton Live v9.7 or higher & Valhalla VintageVerb.